First, I want to tell everyone who prayed for the women and the leaders of the retreat – THANKS! Your prayers were powerful. Satan tried hard to creep in and sometimes triggered me, but your prayers held him at bay. Every one of the leaders and facilitators had experienced obstacles getting to the retreat. From lack of sleep the night before, to an auto accident the morning of when the retreat started. We stood firm and continued. Let me tell you what I experienced . . .
. . . I saw women transformed by love. Love from everyone who was there and the love of Christ. Hard edges melted away. Tears flowed and were held by others.
. . . I saw women physically changed as the Holy Spirit softened their heart. They looked different. Brighter, happier, softer.
. . . I saw women laying down the burdens they have carried for years at the foot of the cross.
. . . I saw one woman with low self-esteem, be loved and transformed. Her brilliance shined.
. . . I saw one woman who was filled with anger, trade her anger in for love.
. . . I saw women telling their stories of hurt and pain, only to be embraced by love.
. . . I saw women, strangers, connecting as sisters.
. . . I saw women peeling back the layers of lies to see shining truth.
. . . I saw tireless, selfless volunteers pour love into these women and give, give, give.
. . . I saw women discovering the connections of mother loss regardless of how they became motherless.
. . . I saw women discovering they were not alone. AND NEITHER ARE YOU! Would you like some of this healing? 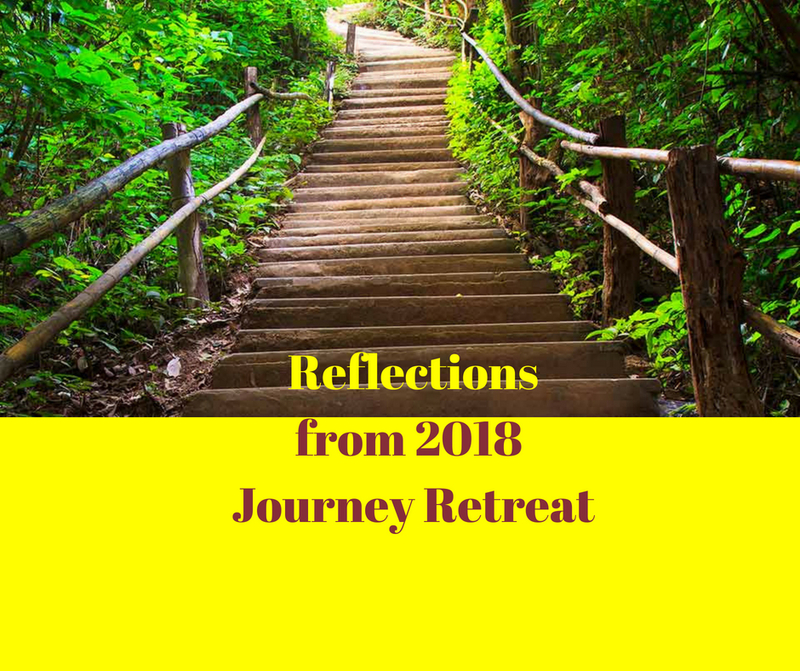 Join us for the next Journey Retreat scheduled for Mar. 7-10, 2019. Save the date and watch for more details. Thank you Lord for blessing all of us with the power and healing love of the Motherless Daughters Ministry.